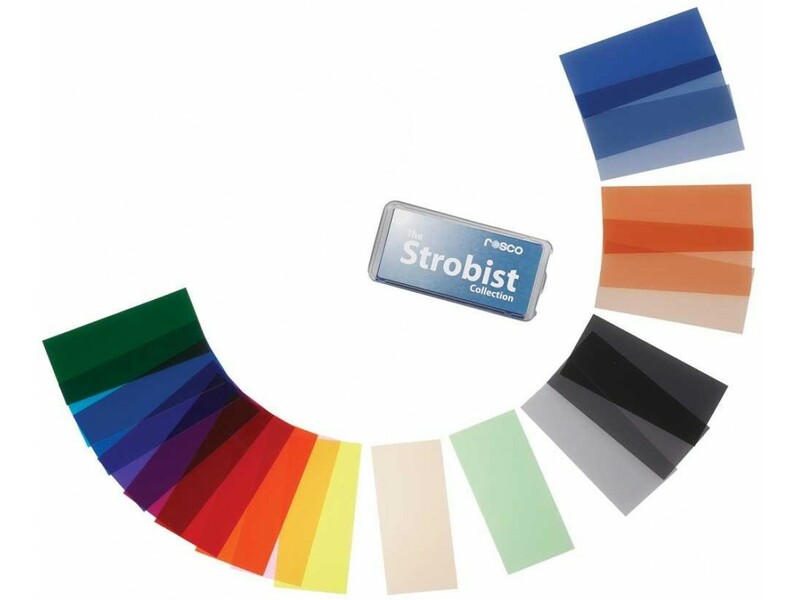 Rosco Strobist Collection is a very popular and extremely convenient set of gel filters that have been pre-cut in size to go with a OCF speedlite (83 × 33 mm). The filters in this set were chosen by Rosco with the help of famous photographer David Hobby (the author of the extremely popular blog dedicated to OCF photography – The Stobist). The Rosco Strobist Collection includes a total of 55 filters — 5 each of the most popular kinds and 1 or 2 of the less frequently used gels. You should not need to overstock these: one set will suffice to equip most or all of your speedlights or replace gels that have worn off due to frequent use. Each filter has a cardboard back that lists the model as well as a short description of the effect it performs, plus a 0-100% transmission chart in the 360-740 nm spectrum. 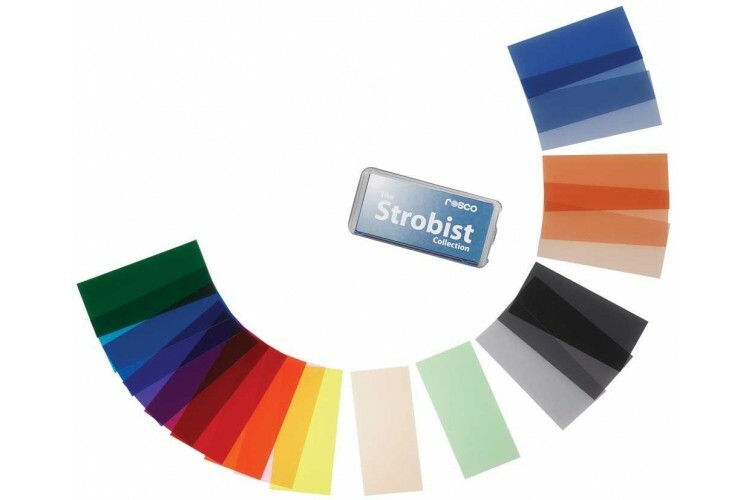 The complete list of filter types in the Rosco Strobist Collection set is listed below. The diagram icon next to each filter model is clickable and loads a complete page of photometric information by Rosco. CORRECTION FILTERS QTY. FX FILTERS QTY. The Rosco Strobist Collection set ships in a convenient plastic box for safe storage.